artjomh wrote: Sorry, I wasn't paying attention and scanning the page I am not sure what's the point of contention. What's the question? Also, I am assuredly not "most knowledgeable". But I can add my two pence. Ah, ok, this is really a non-issue. In ballistic gliding flight mode, 3M10 has sufficient fuel for 2400-2700 km, according to different sources. 3M14 is lighter and has a more fuel efficient engine. It will definitely have range at least as large as 3M10. Exact range would be impossible to calculate since fuel chemistry has advanced significantly since the 70's and today fuels are often more energetic (even though the main fuel is still kerosene), however, 2500 km range is entirely believable and logical. Russia's Kalibr cruise missiles, which shocked and awed ISIL and the rest of the world when they were used in combat in Syria, have a range of 2,000 km, Rear Admiral Viktor Kochemazov told journalists. 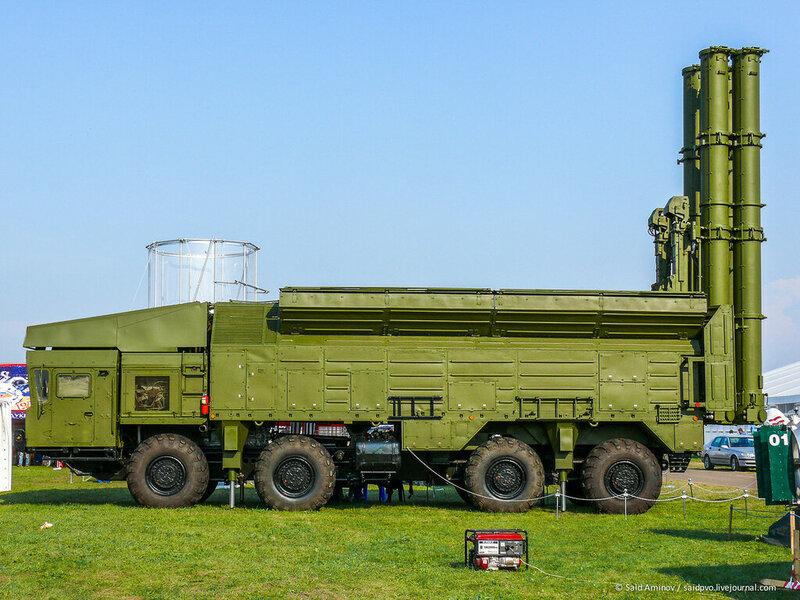 From the blog Arms Control Wonk wrote: A few days ago Bill Gertz alerted the public to a new Russian sea-launched cruise missile (SLCM), SS-N-30A, known in Russia as Kalibr. The new supersonic missile, he said, was tested last month and is ready for deployment. It could reach targets across Europe and represents a threat akin to SS-20 intermediate-range missiles, which the Soviets deployed in the late 1970s – early 1980s and which were eliminated under the 1987 INF Treaty. “A cruise missile variant also is being developed that officials said appears to violate the 1987 Intermediate­ Range Nuclear Forces (INF) Treaty”, he added. The disclosure is very interesting, but not particularly informative. The missile is not new – it has been in testing mode for seven years, if not longer, and is based on an even older SLCM. It is not exactly supersonic. The quote above is misleading: all versions of Kalibr are cruise missiles; Gertz probably meant a test flight from land-based launcher, which is the likely reason for the American accusation that Russia is in violation of the INF Treaty. And, although the reported capacity of Kalibrs to reach targets across Europe from submarines is a concern, he missed a significantly greater challenge stemming from the recent versions of that missile. The history of Kalibr is complicated and designations in Russian open sources are contradictory. Here is a short, simplified version. Kalibr is a new-generation SLCM, which is based on a Soviet long-range SLCM known as Granat, which, in turn, was a Soviet response to the American Tomhawk (TLAM-N). After the breakup of the Soviet Union, when Russian defense industry began to actively seek foreign markets, Novator design bureau, which produced Granat, created a new family of SLCMs. The first to be publicly unveiled was Kalibr 3M-14E, which could have been mistaken for a brand new missile because it was much smaller than Granat. The smaller size achieved two purposes: first, the new anti-ship missile had to fit into standard NATO torpedo tubes (which are shorter than the Soviet standard) and it had to have a range less than 300 km to remain under the MTCR-mandated limit (Granat had the range of 3,000 km). Reportedly, in 2006 3M-14E Kalibr missiles were sold to India. 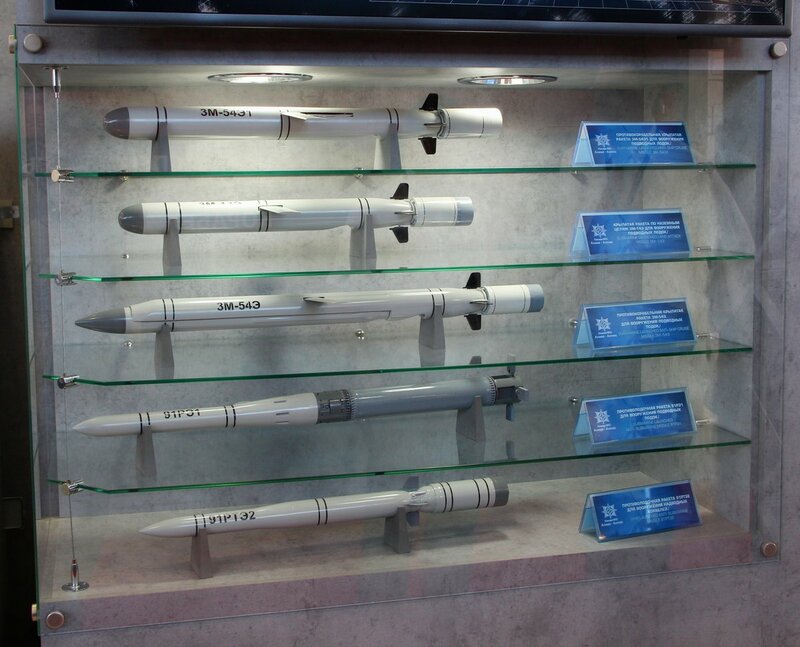 Novator did not stop there and eventually created a whole family of cruise missiles: in addition to 3M-14E, it also advertises 3M-54E and 3M-54E-1. 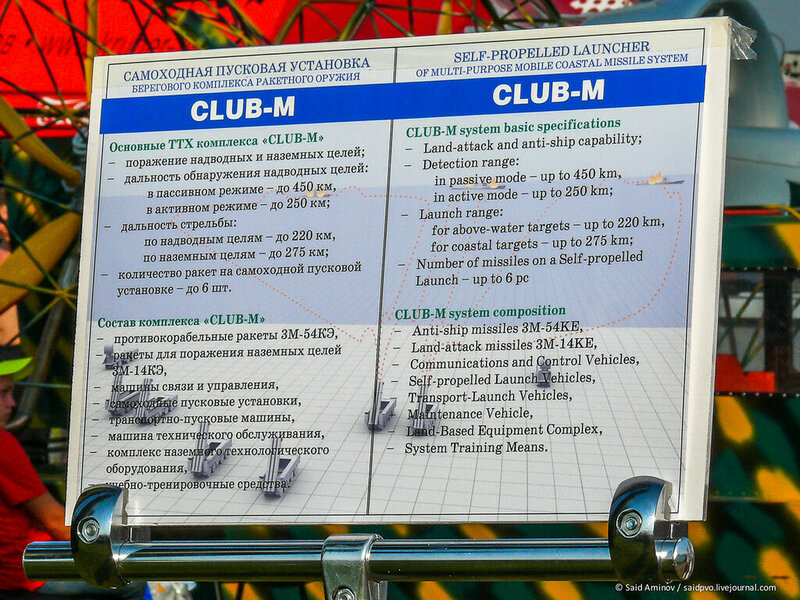 These three missiles are part of systems known as Klub-S (for submarines), Klub-N (for ships), and Klub-M (land-based anti-ship missiles for coastal defense); Novator also offers a Club-A system for aircraft. All these missiles have the declared range below 300 km, which is natural for weapons intended for export. Designation “E” traditionally denotes the export version of weapons systems. Part of the Kalibr family, however, is intended solely for “domestic consumption” (known as 3M14, 3M54, and 3M541) and their ranges are many times greater (some sources use the “E” designation for missiles not intended for export, which is an obvious mistake). Depending on the source, their range is either 2,600 km or 1,500 km; some hypothesize that the longer range is associated with missiles equipped with nuclear warheads while conventionally armed Kalibr SLCMs have the 1,500 or somewhat greater range. All these missiles are subsonic with one important exception: the last stage of the three-stage 3M54 can accelerate to three times the speed of sound 20-40 km before the target (3M541 is a shorter, two-stage subsonic missile that has a more powerful warhead). Acceleration helps penetrate ship defenses and builds inertia to penetrate the body of the target ship. Although all these cruise missiles were initially developed as anti-ship (including basing on submarines, surface ships, and on shore for coastal defense), they have recently also been given capability against targets on land. Kalibr missiles are designated as high-precision and can travel a complex trajectory with up to 15 turns along the path. For example, if the target ship is on the other side of an island, the missile(s) will fly around that island to reach it. Kalibr missiles are reported to have dual (nuclear and conventional) capability. The Russian Navy has always stubbornly insisted that it needs nuclear anti-ship missiles to balance the overwhelming power of US Navy and there is no reason to believe it will completely abandon nuclear capability; there is also no reason to believe that it has abandoned the political obligation of Russia under the 1991 Presidential Nuclear Initiatives (PNI) to store warheads for non-strategic nuclear weapons on shore, even though in 2004 Moscow declared that it no longer considered itself bound by PNIs. Conventionally armed Kalibr SLCMs deserve much more attention then the “nuclear side” of the family. They fit very well the goal of reducing reliance on nuclear weapons that was proclaimed in the 2000 Military Doctrine and has been confirmed in its subsequent (2010 and 2014) versions. The value of precision-guided long-range conventional strike assets has been amply demonstrated by the United States in a series of limited wars since 1991. Unlike nuclear weapons, their conventional counterparts are usable and, if necessary can be credibly threatened against a potential opponent. It appears that the geography of planned deployment of Kalibrs reflects the emphasis on conventional capability. They will be deployed on Project 885 (Yasen) SSNs; they will also be deployed on diesel Varshavyanka-type submarines; there are plans to arm with them Shchuka B-class submarines of the Northern Fleet. Certain categories of surface ships, such as the Project 1155 “large anti-submarine vessel” will also be refitted with these missiles, as well as two large heavy cruisers, including Petr Veliki, Project 1150 destroyers, and the future Project 11356M frigates. Of greatest significance perhaps is the decision to equip missile ships of the Caspian Fleet with Kalibr missiles; moreover, Caspian ships have already flight-tested them several times from different ships. Overall, the Northern, the Baltic, the Black Sea, and the Caspian Fleets can hold at risk wide swaths of territory in Europe and the Middle East, perhaps reaching as far as parts of the Persian Gulf region. Even assuming the range of conventional Kalibrs at 1,500 km, the reach is truly global. The vast majority of countries within that range do not have nuclear weapons of their own or US nuclear weapons in their territories. Thus, Russia cannot threaten them with nuclear SLCMs, but conventional SLCMs are a whole different ball game. The new strategic situation goes well beyond the gloomy, but, in truth, pretty timid warnings of Bill Gertz. This is not just about Europe and perhaps not necessarily about Europe: Moscow is on the path toward breaking the US monopoly on conventional long-range precision-guided strike weapons. Kalibr is not the only class of such weapons: Moscow has already started deployment of a dual-capable Kh-101/102 air-launched cruise missile and plans to develop and deploy a liquid-fuel intercontinental ballistic missile that, some reports suggest, will be primarily intended for conventional warheads (given the long and successful history of Soviet liquid-fuel ICBMs, this project will hardly encounter any challenges except financial). Of course, large-scale deployment is still mostly plans. Development of Kalibr family systems has been completed, but deployment takes time and money; the latter is in particularly short supply these days. Thus, the security challenge should be judged as potential, but worth serious consideration. A response in kind would amount to an arms race. Arms control tools seem infinitely preferable, but that would mean breaking one of the long-standing taboos in American arms control policy – putting long-range conventional strike assets on the table. This option remains possible while Russia has not yet embarked on large-scale deployment of the new family of systems; once it has moved reasonably far along that way, it will lose interest in arms control. The worst news about the continuing improvement and upgrades of the Kalibr family is its new launcher. Russian missile designers apparently have imagination that is allowed to run amok. They have put a launcher with four Kalibr missiles into a standard shipping container that cross oceans by hundreds of thousands loaded onto standard commercial vessels. Available pictures show two classes of Kalibr missiles in shipping containers – the “export” (shorter) version and also the longer missiles with greater, “non-export” range. In effect, this means that any vessel carrying standard shipping containers that approaches a “country of interest” of the Kremlin could be carrying long-range cruise missiles capable of sinking ships or striking targets on land. Similarly, any part of Russian coastline that appears unprotected can all of a sudden feature anti-ship missiles brought by inconspicuous trucks in inconspicuous shipping containers. Deployment of Kalibr missiles with capability to strike land targets in seas around Europe (including the Atlantic), indeed, could defy the purpose of the 1987 INF Treaty, which eliminated all land-based missiles with ranges between 500 and 5,500 km. There is no escaping that, however. It was, after all, the United States and NATO that ensured during INF that sea- and air-launched missiles should be excluded from that Treaty. It was the United States that successfully insisted during START I talks that long-range nuclear SLCMs should be subject only to rudimentary unverifiable confidence building measures and that conventional long-range SLCMs are completely exempted from it. The tables have turned. US monopoly on these assets has lasted two decades and is now on the verge of its end. If one throws into the picture long-range ALCMs and short-range Iskander systems that reach almost the entire Poland and perhaps also a piece of Germany from Kaliningrad Oblast (a Russian exclave between Poland and Lithuania), the emerging Russian conventional and potentially nuclear capability looks particularly impressive. Kalibr has apparently affected the INF Treaty in another way – it was the likely source for the recent US accusation that Russia is in violation of that Treaty. 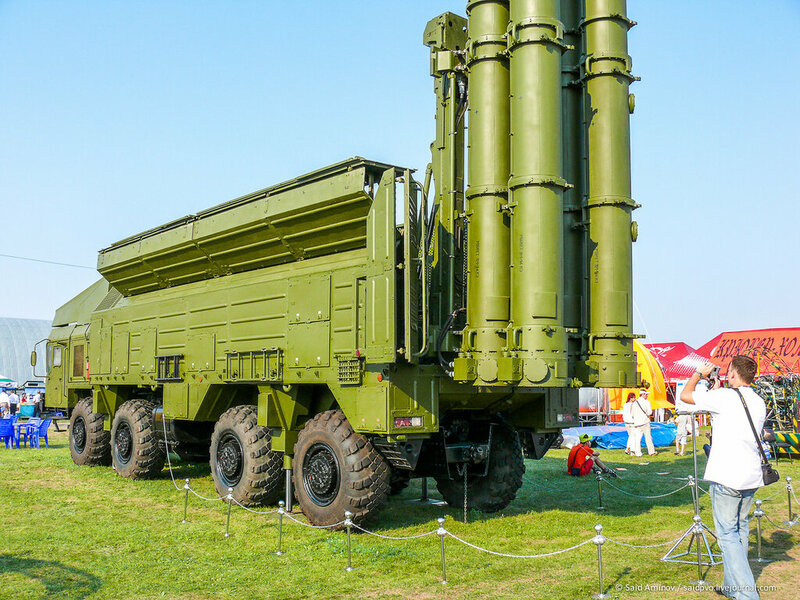 US government has only revealed that the reason for the accusation was a test of a long-range ground-launched cruise missile (GLCM); such missiles are prohibited by the INF Treaty. Russia has denied any wrongdoing and demanded details, which the United States refused to provide (probably to avoid disclosing methods of intelligence gathering). At the center of the controversy is probably a flight-test of an R-500 short-range ground-launched cruise missile for Iskander system from Kapustin Yar range in May 2007. Even then, that test gave rise to speculations that it could have been the test of one of long-range Kalibr-family SLCMs. If the latter is the case, then the situation becomes complicated. Under the INF Treaty, Russia has the right to flight-test SLCMs from land provided that it is conducted “at a test side from a fixed land-based launcher which is used solely for test purposes and which is distinguishable from GLCM launcher” (Article VII, paragraph 12). The test was certainly from an official test range; the launcher was without doubt not a GLCM launcher (all those were eliminated long time ago). It all boils down to two questions: was this a fixed launcher and was this a launcher that is used exclusively for flight tests? Indeed, if the 2007 test was for one of Kalibr missiles, a controversy seems possible given the long-standing tradition of Russian defense industry to pay little attention to international agreements. In the past, that propensity created more than one head-ache for both the Foreign Ministry and the military. Is it possible that designers chose not to mess with a unique launcher for a SLCM and used the same that was later used for R-500? The public will not know until US and Russian officials move beyond the current stage of mutual recriminations and graduate to discussing technical details. In any event, it remains possible that Kalibr family had something to do with yet one more source of contention between the two countries. These ignorant muritard stink tanks know nothing. If kalibr violates INF then morons US violated INF by bringing SM class missiles and LRASM and Kalibrs are supersonic only but the one used in Syria were not. Russia's brand new Kalibr cruise missiles take Moscow's ability to deter, threaten or destroy adversary targets to new heights. MOSCOW (Sputnik) – Russia’s new Kalibr (SS-N-27 Sizzler) cruise missile systems provide expanded defense capabilities to the Russian Navy, the latest unclassified US Navy intelligence report reveals. "The new technologically advanced Russian Navy, increasingly armed with the KALIBR family of weapons, will be able to more capably defend the maritime approaches to the Russian Federation and exert significant influence in adjacent seas," the December Office of Naval Intelligence report said. It quoted an unnamed high-ranking Russian defense industry official as saying in 2011 that the Kalibr family "provides even modest platforms, such as corvettes, with significant offensive capability." The official went on to say the capability to hold distant fixed ground targets at risk using conventional warheads expands Russia’s ability to deter, threaten or destroy adversary targets. Last week, Deputy Defense Minister Yuri Borisov disclosed plans to fit two next-generation Project 22800 corvettes with new Kalibr systems. The Uragan and Taifun small missile ships are expected to join the national fleet in 2017-18. 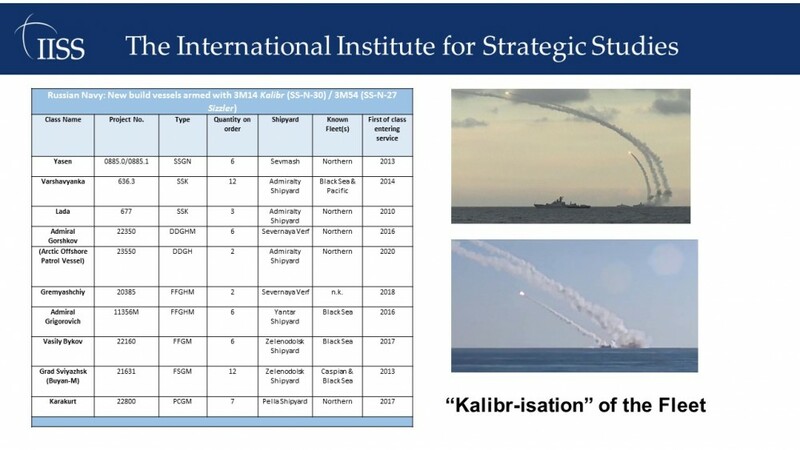 Experts assess that Kalibr can be used alongside other cruise missiles to perform missions similar to those of the US Conventional Prompt Global Strike program designed to deliver a precision strike anywhere in the world within an hour. The system, including anti-ship, anti-submarine and land attack cruise missiles with a reported operational range of 160 miles to 930/1,550 miles, was last deployed against terrorist targets in Syria early in December. Russia is underground a major five-year rearmament program to modernize nearly three-quarters of its military by 2020. For exported to countries definitely, but for Russia it's probably better to have official launch vehicles. LE BOURGET , October 17. /TASS/. The Russian Navy’s participation in the operation in Syria has boosted foreign customers’ interest towards Russian ships armed with the missile complex Club - the export configuration of Kalibr cruise missiles, the chief delegate of Russia’s arms exporter Rosoboronexport, Yevgeny Odintsov, told TASS at the Euronaval-2016 show. "The Russian Navy’s participation in the operation in Syria has boosted potential foreign customers’ interest in Russian ships capable of dealing effective, high accuracy strikes against targets deep inside enemy territory," Odintsov said. In particular, he mentioned project 636 submarines. One Russian submarine of this type, Rostov-on-Don last December launched Kalibr missiles at facilities of the Islamic State (terrorist organization outlawed in Russia) from the Mediterranean. "At the beginning of the 2000s the Club-S system (export configuration of the Kalibr system for submarines - TASS) lent a new quality to the Varshavyanka class submarines and confirmed the unique capabilities of that project in the context of its modernization. Project 636 and 877EKM submarines armed with the Club system are now organic to the naval forces of many countries," Odintsov said. "Alongside this foreign customers have displayed interest in the missile-carrying ship of project 216332 Tornado. Upgraded ships of that project (the Russian Navy uses project 21631 ships; Tornado is the project’s export version - TASS) used Kalibr missiles to deliver strikes from the Caspian Sea," Odintsov said. He pointed out that small surface ships armed with Kalibr missiles (export configuration called Club-N) "are of the greatest interest to the countries which are implementing large-scale naval programs or have considerable national interests in land-locked seas, large bays and insular areas. Among such countries there are some countries in the Persian Gulf, the Mediterranean, Southeast Asia and South America," he said. The Russian Navy launched cruise missiles against terrorists in Syria in 2015 and 2016 from ships of project 21631 in the Caspian and Mediterranean seas. Can't find the rest of the slides which is a shame, I'm wondering if there are parts covering modernisation of existing ships (particularly Nakhimov but possibly Oscars) & actual total numbers of missiles compared with European/Asian/US navies. From the eastern part of the Mediterranean Sea frigates "Admiral Essen", "Admiral Grigorovich" and the submarine "Krasnodar" of the Russian Navy, launched six cruise missiles "Caliber" against the targets of the terrorist group IGIL in Syria. Any information on upgrade path for Klub System specially the LACM Variant ? Why would they? The path that has been made has is relatively new. Tomahawk is an old system. Russia's fault would be trying to do what you suggest, always playing the comparative game. Instead, Russia is developing its own path of development that they see fit as a good counter to the US and European systems. This is the main problem I have with most people and media regarding Russia's tech capabilities - too many people expect that Russia follows the same path as the west because the west is the best idea, which is far from the Truth. Anything from your last article about the AESA radar to now with upgrade paths you want similar from Tomahawk. It is all marketing and they have you fooled. Instead, Russia's Kalibr system proved itself very well, much greater than most to all competitors. That alone speaks volumes. It wouldn't be surprising if there will be various upgrades to the current models based on operational experience but unlike the US, Russia already has a comprehensive suite of missiles & doesn't desperately need to rework them to fix massive capability holes. The big capability hole Russia has to work on is getting significant number of launch tubes on the water. The Russian MIC is also not always looking out for the next profit earning R&D opportunity. From top to bottom as written on their sides we have the 3M54E1 (note that symbol that looks like a 3 is cyrillic for E), the 3M-14E, the 3M54E, the 91RE1 and the 91RTE2. These are all export versions and can all be deployed from the UKSK launcher system on exported ships and subs. They are also .533mm calibre and can be fired from ship or sub based torpedo tubes. The domestic models are longer ranged. The 3M54E1 is a 6.2m long anti ship cruise missile that is subsonic all the way to the target with a 400kg warhead. The 3M14E is a land attack cruise missile... the domestic version is called Kalibr and it has a range of 2,500km plus in the domestic model and is also subsonic all the way to the target. The 3M54E is the supersonic anti ship missile with two stage flight... subsonic cruise most of the way to the target and then mach 3 for the last 30-40km at very low altitude with its pointy nose being a clue to its high speed. The 91RE1 and the 91RTE2, with their pointy noses give away their supersonic speed too but these are both ballistic weapons... fired at a trajectory to deliver a guided torpedo near a targets location. The 91RE1 is 8m long and has a range of 50km at mach 2.5, while the shorter 91RTE2 is 6.5m long and has a range of 40km at mach 2. The Onyx/Yakhont/Brahmos can also be launched from the UKSK launcher and the soon to come Zircon will also be compatible too.